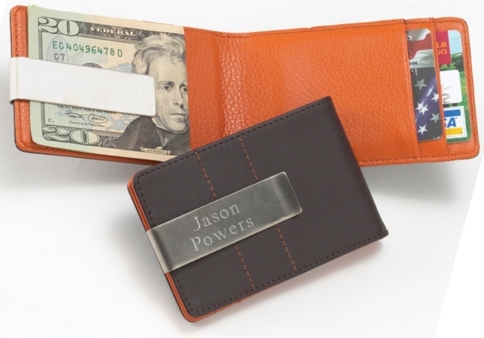 * Our flashy executive-style wallet/money clip combo trumps the competition. * Smooth brown leather exterior, with monogrammed clip, is accented with orange stitching. 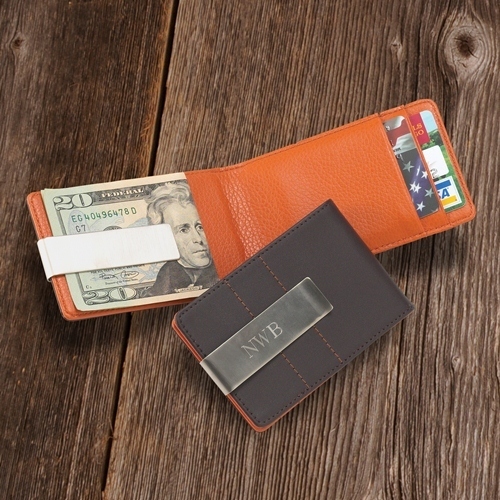 * Textured orange interior organizes his cash and credit cards. 4.25" x 2.75" x 2"